← Doctor Strange Was Honestly Good! Want to hear something that boggles my mind? There’s going to be a Detroit Steel LEGO set coming out this year. Do you remember Detroit Steel? Of course you don’t. The character existed for a very brief part of Matt Fraction’s run on Invincible Iron Man as a sort of hyper-patriotic, Red State version of Iron Man. He’s a military soldier piloting a big, red, white and blue super suit. And he’s going to be in LEGO! That’s insane. Is LEGO really so out of ideas that they’re turning to Detroit Steel to come up with viable sets to build and sell? Why don’t they just give me a call? I’m bristling with ideas and I would love to share a few after the jump! Also, I’m probably totally going to buy the Detroit Steel LEGO set. I loved Fraction’s Invincible Iron Man. It was the first ongoing Iron Man comic I ever read. 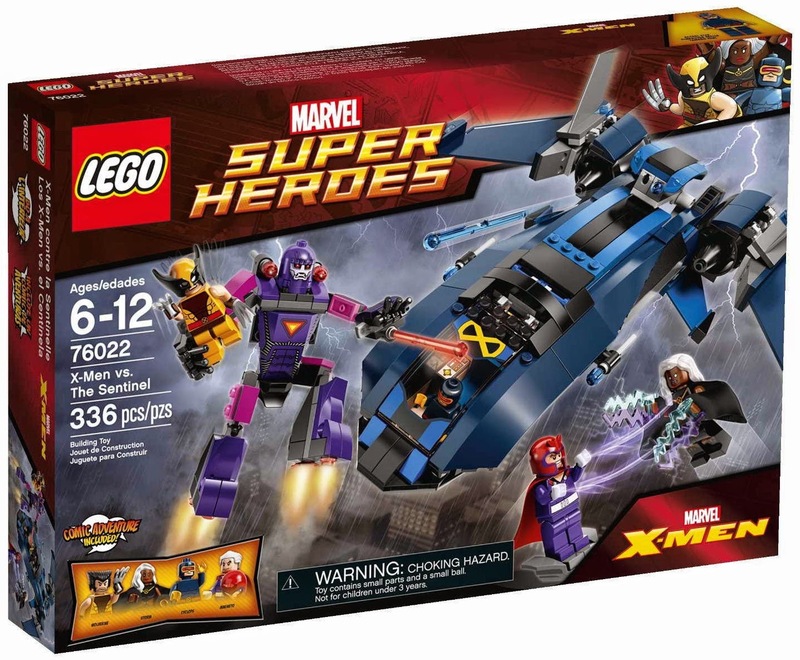 There’s only really been one set of X-Men LEGOs in the entire time that Marvel and LEGO have been working together. That set, pictured above, contains both the Blackbird jet and a Sentinel, knocking out the two most iconic bits of X-Men machinery. But that doesn’t mean there aren’t a million more X-Men to play around with! Gimme Nightcrawler, gimme Gambit, gimme Storm or Beast or Iceman or Archangel or Cannonball or Cable or Blink or Mimic or Multiple Man or Strong Guy or Doop or Rogue or Toad or anybody! I’d even take Cypher! Make an X-Mansion set and fill it with characters. Make a Master Mold set and fill it with characters. Make a Dark Phoenix Set. Make a Weapon X set. Make a Juggernaut set! The possibilities are endless, as they’ve always been with the X-Men. Looking for some new colorful, interesting characters to turn into mini-figs? Can’t go wrong with the Thunderbolts! They’re not street-clothes wearing heroes like the Netflix Defenders. And they’re probably not going to appear in any big Marvel movies anytime soon. But from Mach V to Songbird to Atlas to Fixer, the Thunderbolts have got some fun members! Build a LEGO set out of their secret base and populate it with new and interesting mini-figs and you should do alright. Or it’s possible I just want a Songbird and Mach V LEGO couple. Did you know that LEGO have added waist accessories to mini-figs? Like utility belts for Batman that slip in between the torsos and the legs. It’s neat! 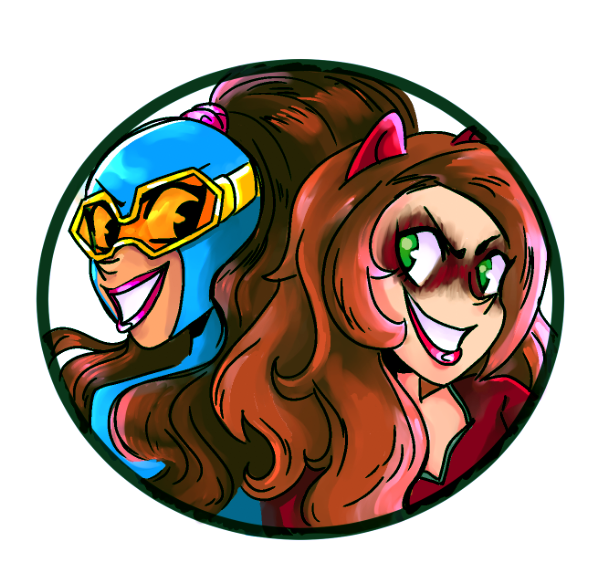 and what better way to expand on those than by creating a giant squirrel tail for Squirrel Girl! She’s super popular right now and would look downright adorable as a mini-fig, especially with a cadre of tiny LEGO squirrels at her beck and call. Not sure where they could put her though…maybe in a LEGO park set? Or a computing class at Empire State University? Marvel doesn’t have as many iconic vehicles as DC. Nothing will ever beat the Batmobile. But back in the 90s, Marvel was making a huge deal out of the Punisher’s Battle Van. Remember that? It was basically just a big, black van. But it got trading cards and I think it showed up in the 90s Spider-Man cartoon. So if you want a solid Marvel vehicle to turn into a LEGO model, go with the Punisher and his battle van! Then deck him out with all sorts of weapons and rocket launchers and it would be great! It could tie into his upcoming Netflix TV show. And they could make it in such a way that it would fit in with the LEGO City franchise! That would be perfect for all the gritty realism of LEGO. Take a regular mini-fig and just start sticking round, single-peg LEGO pieces onto his feet and boom, you’ve got Stilt-Man! I want a LEGO Stilt-Man to complete my awesome collection of mini Stilt-Men. I’ve got the Heroclix Stilt-Man and the Minimates Stilt-Man, both of which take a basic figure and just add long, click-in legs to make him really stilty. It’s great! He’s the perfect sort of super-villain to make out of LEGO. So take one of these generic hero vs. villain sets, like Spider-Man on a bridge or the Avengers in a secret lab, and throw in Stilt-Man for the sheer fun of it! The worst thing the feud between Marvel and FOX Studios has done is deny us this amazing possibility. Galactus, the Devourer of Worlds himself, as a giant LEGO model. It would be glorious! 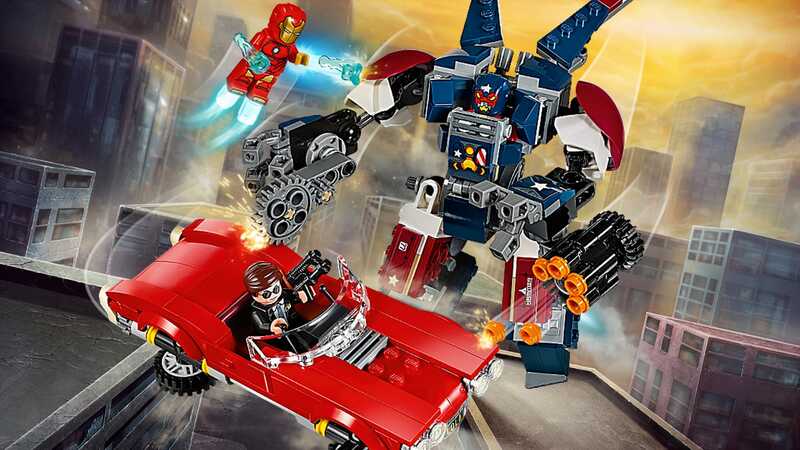 LEGO has already experimented with this buy building a Giant Man to go along with Captain America: Civil War. So we have the technology! Now we just need the synergy. We need Marvel to invest in Fantastic Four merchandise again. We need the powers that be to realize how beautiful this set would be. Heck! Make two sets, Galactus and the Baxter Building, and then split the Fantastic Four mini-figs between them. Make people buy both sets! And you’ve got to add the Silver Surfer, of course. The world needs a giant Galactus LEGO set so it can be devoured. Posted on March 1, 2017, in Comics, Lists of Six!, Toys. Bookmark the permalink. Leave a comment.